Tarun Gupta May 15th, 2018 Search Engine Optimization no comments. Search giant Google is set to roll out a new feature that will ensure improved business-customer connect. 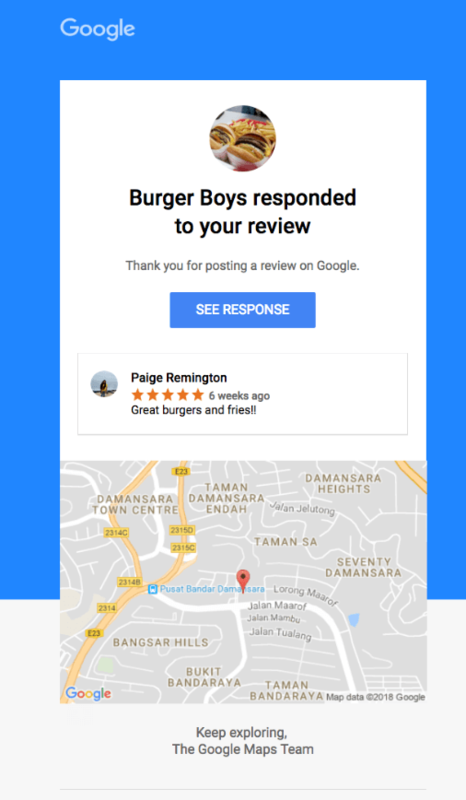 The new feature will send a notification to the customers as soon owners respond to their reviews that they posted on Google Local results. Google took on Twitter and its official forums to announce the feature. Reviewers will be sent an email notification when a business responds. There are reports as well that Google may also add mobile push notifications to notify the same. The feature may be seen as a great engagement tool. If businesses know that their responses to reviews will be received by the reviewers, it may impact the type of responses they leave.